Saving for a down payment is possibly the biggest hurdle that renters face when aspiring to homeownership — particularly in expensive parts of the country like the Bay Area — but making some simple sacrifices can end up paying off in the long run. Take that morning trip to the local café, where a latte costs an average of $3.78, according to a blog post from the National Association of Realtors. By grabbing coffee at the office or renouncing caffeine altogether, the average American could save $1,300 per year. Bringing lunch to work and eating dinner at home can net even bigger savings, a combined $3,800 per year. Would-be homeowners hoping to amass even larger annual savings should think twice about owning a car. Americans spend an average of $713 on their automobiles, which translates to $8,500 in savings per year. Many Bay Area residents fortunately have other transportation alternatives to driving. Walk Score rates San Francisco as the nation’s second most walkable city in 2017, while Oakland ranks No. 9. San Francisco also ranks as the No. 2 city in the U.S. for bike- and public-transit-friendliness — even more incentive to avoid the city’s well-known parking hassles. Mortgage rates dropped for the third consecutive week, again reaching a 2017 low and motivating more homeowners to refinance. Freddie Mac says that 30-year, fixed-rate mortgages fell to 3.78 percent for the week ended Sept. 7, down from 3.82 percent the previous week and up from 3.44 percent one year earlier. Fifteen-year, fixed-rate mortgages dropped to 3.08 percent, also down on a weekly basis but higher than at the same time in 2017. 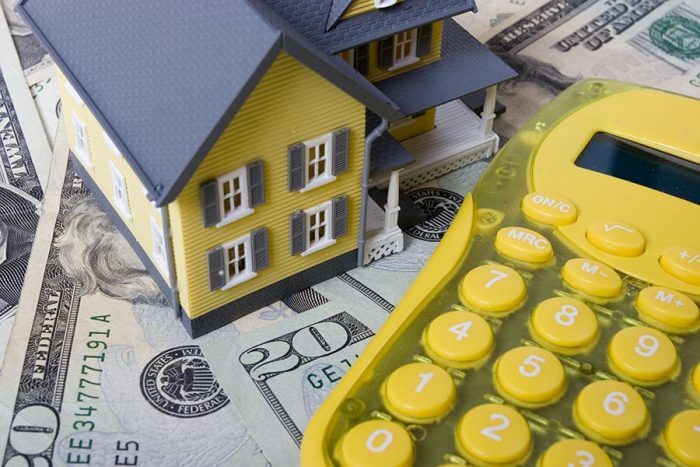 As CNBC reports, the current mortgage-rate environment caused an uptick in refinancing applications, which represented 51 percent of mortgage activity for the week ended Sept. 1, the most since January. The combination of global political tensions and Hurricane Irma is expected to drive mortgage rates down again this week. A recent Apartment List poll highlighted a potential exodus from San Francisco due to the city’s high cost of living, and now another study points to the same trend. The San Francisco Office of the Controller’s 2017 City Survey found that 31 percent of respondents said they were likely to leave the city in the next three years. As SFGate reports, nearly half of those who plan to migrate elsewhere are under the age of 35. Families are also unsure of their futures in San Francisco, with 43 percent of respondents with children under five reporting a planned move. San Franciscans’ desire to move is nothing new, as the city puts the number of departing residents at about 30 percent over the past 12 years. And while this may sound like welcome news for tenants hoping to upgrade their apartments or finally purchase a home in the city, the survey’s small sample size may not represent the overall population and is unlikely to curtail prices in the short term. If there is one bright spot for San Francisco renters who are thinking of leaving town, it’s the fact that rents continue to cool, even if the decrease is minimal. As it has for many months, San Francisco remains the nation’s most expensive rental market in September according to the latest monthly report from Zumper, with the average one-bedroom unit commanding $3,390, down by 0.9 percent from August and 1.5 percent from September of last year. One-bedroom rents also fell on both a monthly and yearly basis in Oakland, the nation’s No. 6 most expensive rental market, with apartments fetching an average of $2,020 per month. San Jose remains the nation’s third-priciest rental market, at $2,350 per month. Rental costs in the city fell by 1.3 percent from August but are up by almost 10 percent year over year.